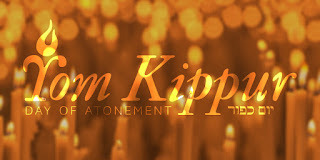 Last Days Review: DAY OF ATONEMENT (Yom Kippur), Why should Christians care? DAY OF ATONEMENT (Yom Kippur), Why should Christians care? I am typing this on September 22, 2017, the last day of TRUMPETS. Frankly I am somewhat shocked but extremely gratified that so many people from several countries have read last weeks article titled "TRUMPETS, (Rosh HaShanah) Perhaps the most significant portent of things to come?" Shocked because I have been teaching this stuff (as have others) for very many years and across the board few within the church have been interested. I am gratified because recently it seems that many more Christians are opening their eyes to the extreme relevance of Old Testament holy days given to mankind over 3500 years ago in the book of Leviticus chapter 23. And yes, before you raise an eyebrow, we are New Testament creations, saved by the atoning blood of the Lamb of God and our salvation cannot be earned by any works of the law. It is a free gift of God. Unfortunately that message in some Christian circles has translated into, "don't waste your time with the Old Testament". An extreme fallacy because very many Biblically prophetic events named in the Old Testament are still future events for all of us in this world. To my extreme gratification more and more Christians are understanding the importance of Israel in the mind and heart of God. Yes, indeed things seem to be changing and I for one believe it is because we are in fact farther into the "end times" than ever before. While we cannot know specific dates of future fulfillment of Biblical prophecy, it is nearly impossible not to see and begin to understand the "signs of the times" (Matthew 16:2-3). Last weeks article pointed out that we (the world actually) are in the midst of the "HIGH HOLY DAYS" and the next event after Trumpets is the DAY OF ATONEMENT (Yom Kippur). 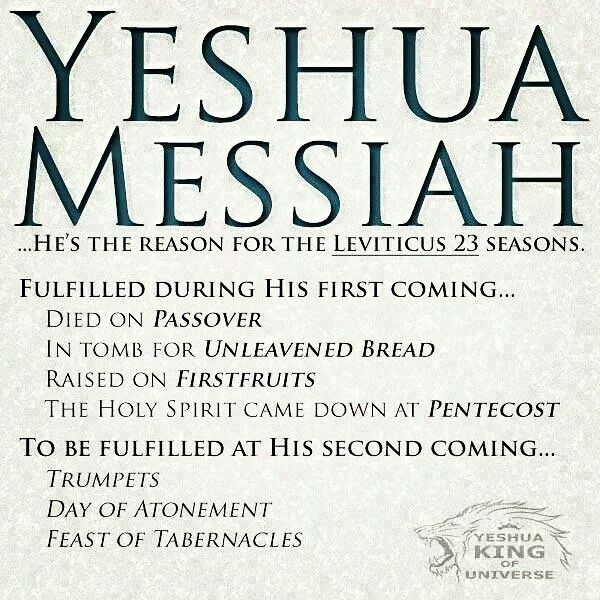 As a reminder, of the 7 holy days prescribed by God, Jesus Christ the Messiah of Israel perfectly fulfilled the first 4 which are in the Spring of the year. He chose to give His life (die) on PASSOVER, was buried on UNLEAVENED BREAD and was resurrected from the grave on FIRSTFRUITS. Then 50 days later the Holy Spirit was given by God to the original Apostles and disciples and the church was born. So, how may we ask is DAY OF ATONEMENT relevant to us as Christians? Last weeks article speculated as to whether or not in some future year, TRUMPETS could relate to the rapture of the church. 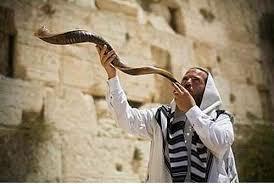 Only time will tell however 7 days after the end of Trumpets begins the eve of DAY OF ATONEMENT. 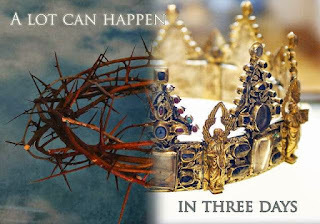 We will get back to that in a moment but first, the "speculation" is that if Jesus chose to perfectly fulfill the first 4 holy days during His first coming in the spring of the year, is there a possibility that He will also fulfill the last 3 holy days which are in the fall of the year, at His second coming? Isn't hind sight a great thing? There is no denying what happened in the past but we must be very careful to respect the future and not try and force our own theological opinions into some sort of eternal mold that may or may not play out according to our desires in the future. Also please always remember that the event called "the rapture" is IMMINENT in nature. That means that absolutely nothing prophetically speaking needs to happen before that blessed event occurs. Even if TRUMPETS turns out to be a portent of the future rapture that does not mean we should all sit around and wait each year for TRUMPETS to role around on the calendar. The word tells us to preach the word in season and out (2 Timothy 4:2) and also we are to occupy until I (Jesus) comes (Luke 19:13). No cruising here folks, honor your church commitment but the world will not become saved while we sit around on pews or behind desks and wait for them to show up. Or hang out together inside the church house walls. The Great Commission is everyones responsibility! Having said that, as I pointed out last week, God does have an extensive track record of doing things in specific ways and it is not out of line to examine compelling, thought provoking possibilities that make sense. Along that line, we speculated that of the 3 fall High Holy days, is there a distinct possibility that TRUMPETS could in some future year be an indicator of the rapture of the church? That the DAY OF ATONEMENT may be aligned with Jesus second coming? And lastly that Tabernacles could signal the beginning of the millennial reign of Christ? Have you noticed that God is big on numbers? I recently wrote an article that we will not get into today but it pointed out that several numbers are repeated frequently in Biblical events. 3, 7, 40, 70 etc and far more. As we all know, the prophet Daniel identified some very specific timing for all the events to play out in the final book of the Bible, Revelation. There are two distinct periods of 3 1/2 years for a total of 7. 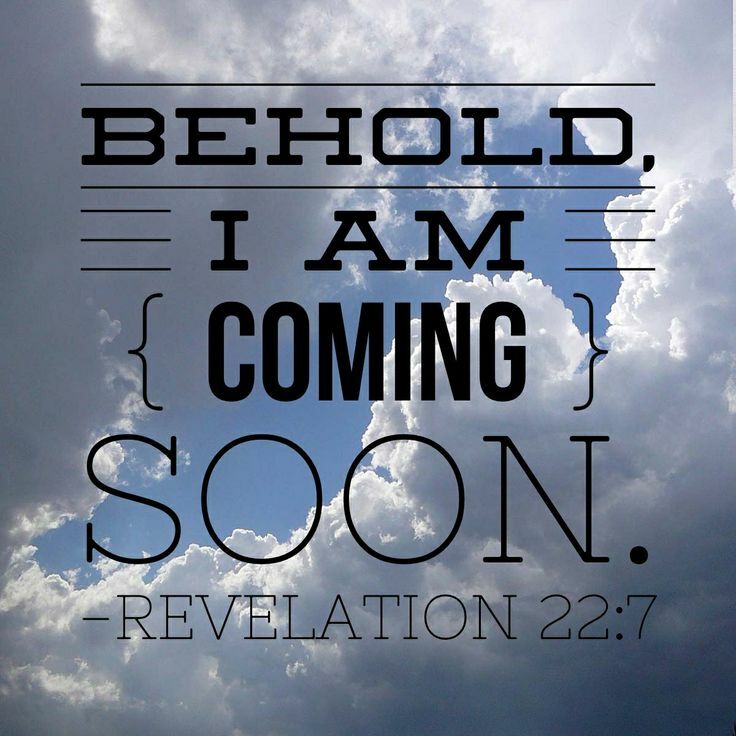 Many believe (as do I) that the rapture of the church precedes the 7 years of Revelation. 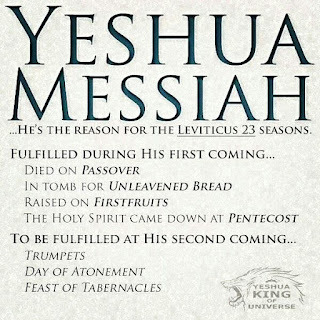 Accordingly, I personally find it incredibly interesting that the holy days of TRUMPETS are followed exactly 7 days later by the beginning of DAY OF ATONEMENT. 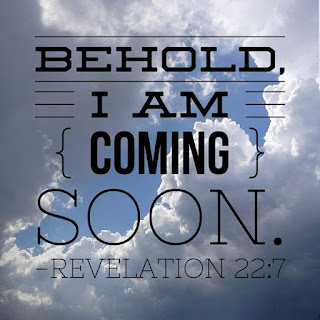 In other words if (BIG IF), TRUMPETS signals the rapture of the church someday then 7 years later (the exact full time it takes to accomplish Revelation) comes the second coming of Christ at DAY OF ATONEMENT??? So, you say but those are days not years---no connection. Maybe. On the other hand time is calculated by God in vastly other ways than by the Gregorian calendar or a 24 four hour clock. An example of that is found in Psalm 90:4 "LORD---For a thousand years in your sight are like yesterday when it is past, and like a watch in the night". That theme is then repeated in 2 Peter 3:8 " ---With the Lord, one day is as a thousand years, and a thousand years like one day". To drive that point home, the prophet Daniel prophecies about a future time of SEVENTY WEEKS in which the first 69 weeks of years equals an actual period of 483 years of 360 days each which culminates in the "cutting off of Messiah" (accomplished at His death and resurrection from the grave). That leaves one future week which Daniel identifies as an actual period of 7 years which we know are the 7 years of the book of Revelation or the great tribulation period. Other articles will examine the roughly 2000 years that have transpired between the "cutting off of Messiah" and the beginning of tribulation which is still a future event. Basically however that is the time in which gentiles are added to Christ's church which is made up of both Jew and gentile who have placed their faith in Jesus Christ as their Messiah. A casual review of Romans chapter 11 should illuminate that issue for you. I fully realize this subject is complex and that is why I explain (in brief) some of the details so you as a reader can obtain an overall glimpse of Gods plan. One last point before we get back to the DAY OF ATONEMENT. 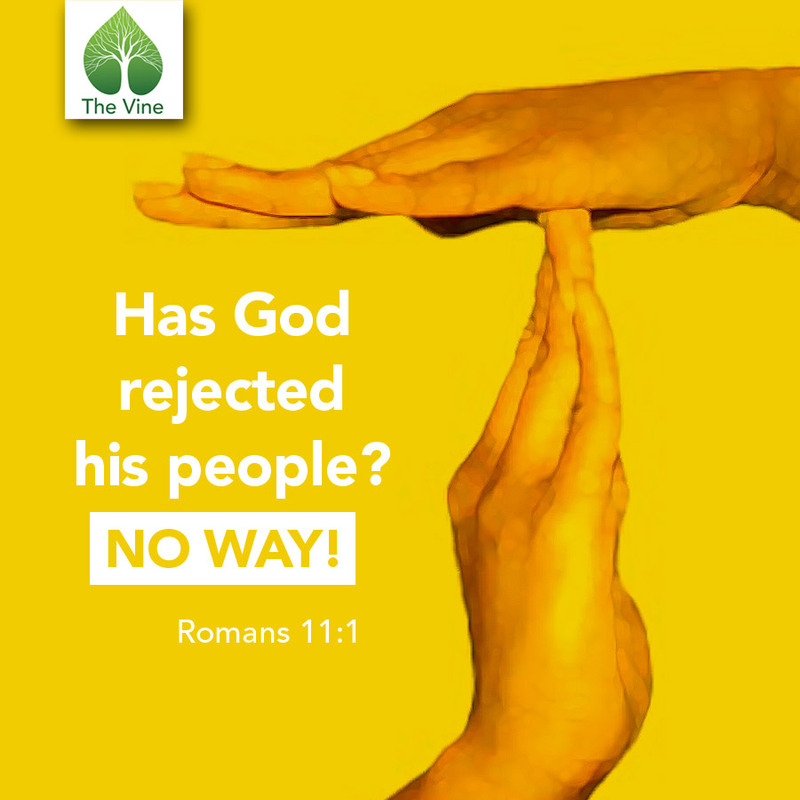 The book of the prophet Jeremiah speaks of a future time that is described as "the time of Jacob's trouble". As you recall, Abraham had a son named Isaac who in turn had a son named Jacob who God Himself renamed ISRAEL. Jeremiah 30:7 is speaking of the time of the great tribulation (book of Revelation) and says "Alas! 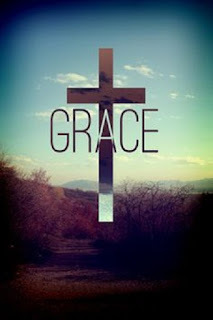 For that day is great, so that none is like it; And it is the time of Jacob's trouble, but he shall be saved out of it." That is one (and only one) of the reasons why people believe in a pre-tribulation rapture because that final 7 years is all about God finally bringing Israel (Jacob) into full and complete fellowship with Himself. The years of tribulation simply have nothing to do with the church, who's sins have already been atoned for at the cross of Christ. 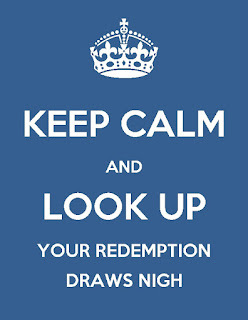 This next week on September 29 is the eve of DAY OF ATONEMENT which lasts through the 30th at 7:05 p.m. Jerusalem time. Historically, this is the very center of the high holy days because it was the one day each year in which the Jewish High Priest could enter the Holy Of Holies of the Temple and offer a sacrifice for His sins and those of the Jewish people. 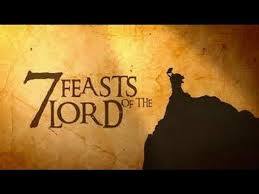 Because this is intended to be a solemn time of heart wrenching repentance, it is not a feast day. Rather it is a time of soul searching and asking God for forgiveness. I will devote the remainder of this article to the relevance of DAY OF ATONEMENT to Christian believers today. But there is one very important thing for us to remember; The prophet Isaiah 1:18 is a snapshot of God telling His people to come and reason with Him. What a statement that is. "Come now and let us reason together, says the Lord". "Though your sins are like scarlet, they shall be as white as snow---". Forgiveness always comes after sincere repentance. Interestingly, it was and still is a custom for people observing this solemn holy day to wear WHITE which symbolizes purity and the promise that our sins shall be made as white as snow. We have seen a similar reflection of purity in the age old custom of a virginal bride wearing white to symbolize her purity coming into marriage. However for believers in Christ, an even greater symbolization is stated in Revelation chapter 19: 7-9 in speaking about the BRIDE OF CHRIST". "Let us be glad and rejoice and give Him glory, for the marriage of the Lamb has come, and His wife has made herself ready. And to her it is granted to be arrayed in fine (white---my emphasis added) linen, clean and bright, for the fine linen is the righteous acts of the saints". And who is the Bride of Christ? 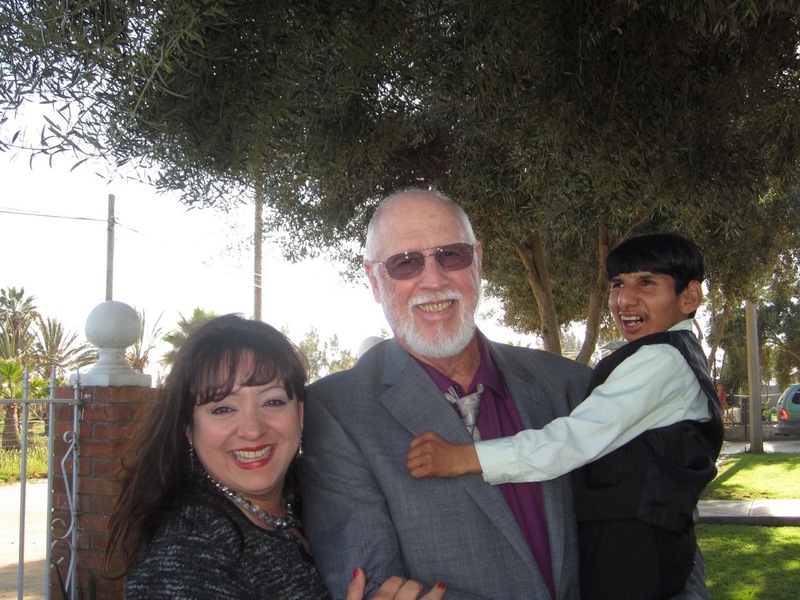 Jew and gentile believers from all ages who have repented for their sins (and been forgiven) and placed their faith in Christ. All Christians know that Jesus has provided our atonement, Romans 3:23-24 "For all have sinned and fall short of the glory of God; Being justified freely by His grace through the redemption that is in Christ Jesus". So for Christians, DAY OF ATONEMENT serves one specific purpose today and one even greater possible future purpose. First in the here and now, this holy day should always remind us that redemption---salvation cannot and never could come through works of the law or the blood sacrifice of animals. However the Lord tells us that the life is in the blood (Leviticus 17:11) and "I (God) have given it to you upon the altar to make atonement for your souls". But the blood atonement of the Old Testament was temporary and had to be renewed each and every year. The Apostle Paul clarifies this matter for followers of Christ in Hebrews chapter 9:13-14 "For if the blood of bulls and goats and the ashes of a heifer, sprinkling the unclean, sanctifies for the purifying of the flesh, how much MORE shall the blood of Christ, who through the eternal Spirit offered Himself without spot to God, cleans your conscience from dead works to serve the living God?" What a great gift is salvation by grace. The entire world has that gift waiting under their very noses---gift wrapped and ready to open. And yet for most, they will stare from afar at the beautiful gift without ever opening it. The second reason that DAY OF ATONEMENT may be of importance to us as Christians is if at some point in the future, God does appoint this day as the moment for the second coming of Christ, then you and I and all believers who have come before us, will ride on white horses clothed in clean and bright linen following Christ who Himself will lead the way from heaven back to earth. His description will be (Revelation 19:12-16) "His eyes we're like a flame of fire, and on His head were many crowns. He had a name written that no one knew except Himself. He was clothed with a robe dipped in blood, and His name is called The Word Of God. And the armies of heaven clothed in fine linen, white and clean, followed Him on white horses. Now out of His mouth goes a sharp sword that with it He should strike the nations. And He Himself will rule them with a rod of iron. He Himself treads the winepress of the fierceness and wrath of Almighty God. And He has on His robe and on His thigh a name written: KING OF KINGS and LORD OF LORDS. And so my friends, when we begin to become discouraged as all around us in this world things are getting worse by the day, What you have just read above is what we have to look forward to. Don't be discouraged, don't give up, never quit living life to it's fullest, Get married, "birth them babies", work hard, find a good Bible teaching church, share your faith with all around you and one day without warning you will hear a trumpet blast from heaven and in the twinkling of an eye--------!!! 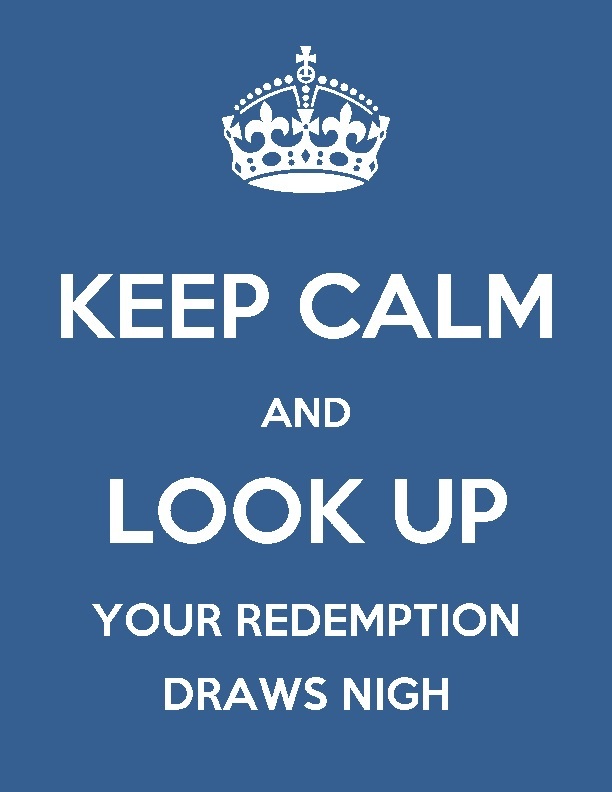 Luke 21:28 "Now when these things begin to happen, look up and lift up your heads, because your redemption draws near"! One last word folks, If you are riding the spiritual fence, not having really made a full and complete commitment to the Lord? Why? The obvious is looking you in the face. Repent sincerely to God, pray for Him to grant you the gift of Salvation and join His army once and for all.